taiba is a leading healthcare marketing, distribution & retail pharmacies group in the Sultanate of Oman with regional operations and presence; our offices in taibaME & taibaKSA cater for local and GCC markets. At the regional level taiba is well known company in marketing and distributor of niche and rare disease medications mainly in the field of hematology and metabolic disorders. In the Sultanate of Oman, our focus is specialty pharmaceutical hospital products that fall in the above range in addition to products in other key therapeutic segments such as oncology, endocrinology, cardiology, nephrology, Anti-infectives etc. 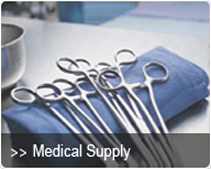 In addition to our pharmaceutical line we do offer product ranges for hospital disposable, surgical and medical devices, as well as lab products.